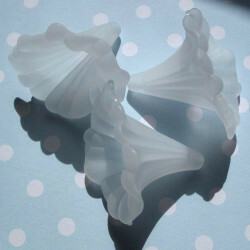 Lucite Flowers and Leaves There are 48 products. 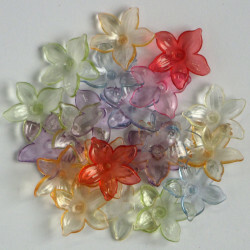 5 Petal, Transluscent, Lucite Flowers, Mixed Colours. 10g Packs. 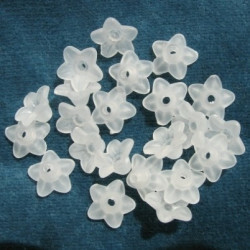 Small white Lucite flowers. 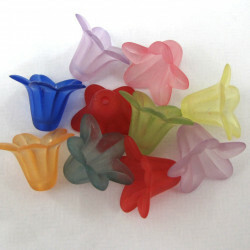 Approx 98 per pack. 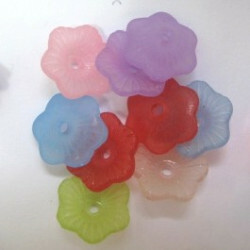 Rounded, Flattened, Translcent Flowers, Approx. 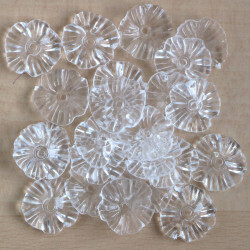 17mm Diameter. 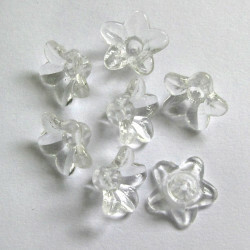 Small Clear Lucite Flowers. Approx. 9 mm by 5 mm, 98 per pack. 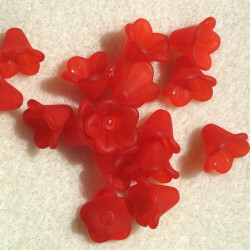 Lucite harebells, red, 11mm x 13mm. 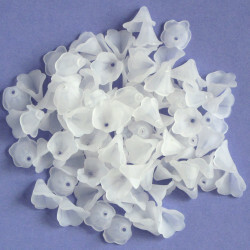 LC2401 - Large white trumpet flower. Pk of 5. 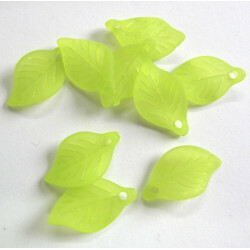 These are approx. 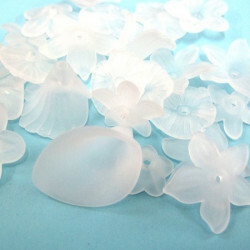 37mm x 40mm. 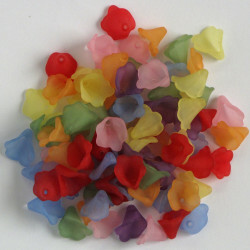 Harebell shaped mixed flowers. Per pack.